Keep your baby sleeping healthy by choosing organic baby bedding. Our entire organic baby bedding collection is made from the world’s purest materials, organic cotton and/or wool, which limit your baby’s exposure to synthetics and chemicals. 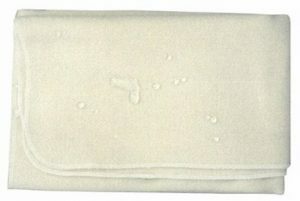 From the crib up, our organic baby bedding includes wool moisture pads, cotton mattress pads, crib sheets and blankets. And use all of this inside of a solid wood crib. In this day and age of chemical living, it is so important to limit baby’s exposure to toxic chemicals. 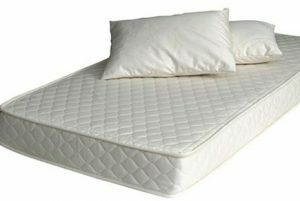 Non- organic cotton sheets are often treated with formaldehyde. 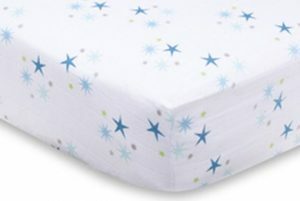 Non- organic crib mattresses and non- natural crib mattresses contain polyurethane foam as well as phosphorus, arsenic, and antimony compounds as preservatives and fire retardants. 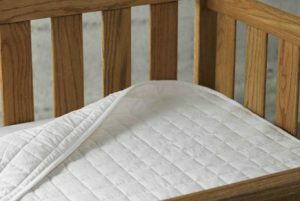 Sudden Infant Death Syndrome (SIDS) is thought to be related to these chemicals in crib mattresses. Click to read more about chemicals in baby products, how these chemicals are related to SIDS, and why you should choose an organic baby mattress, and baby bedding. Even more reasons to sleep baby naturally: sleeping on natural fibers is thought to increase quality of sleep. Choose organic crib sheets, baby blankets, and an organic crib mattress (either an economical innerspring or a natural rubber / natural latex mattress) to ensure your baby is not exposed to these dangerous chemicals and they are getting the best chance at quality sleep. 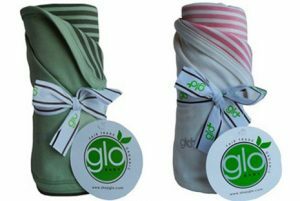 All of the baby products on our site are chemical free and all natural. Most are certified organic.